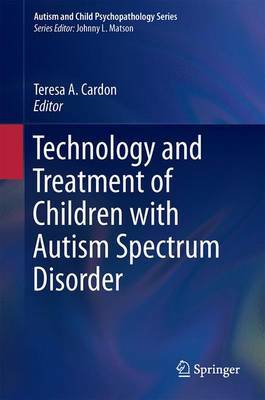 This volume analyzes recent technological breakthroughs in aiding children with autism spectrum disorder (ASD). Chapters offer practical guidance in such areas as assessment, treatment planning, and collaborative intervention. The book also presents findings on hardware and software innovations and emphasizes their effectiveness in clinical practices that are targeted to specific cognitive, social, academic and motor skill areas. In addition, it describes promising new deficit-reducing and skill-enhancing technologies on the horizon. Developing and supporting the writing skills of individuals with ASD through assistive technologies.The ways in which visual organizers may support executive function, abstract language comprehension and social learning.Do-as-I'm-doing situations involving video modeling and autism.The use of technology to facilitate personal, social and vocational skills in youth with ASD.Evidence-based instruction for students with ASD.The use of mobile technology to support community engagement and independence. Technology and Treatment of Children with Autism Spectrum Disorder is an essential resource for clinicians and related professionals as well as researchers and graduate students across such disciplines as child and school psychology, rehabilitation medicine, educational technology, occupational therapy, speech pathology and social work.